We are T-Minus three (3) days out from your favorite holiday party. We have some exciting news about who will be there, and what you’ll be doing, and we’re going to be releasing them one. Day. At. A. Time. Because we can, and we’re coo like that. Exciting News Day One: The (free) food for FestiBus will be cooked onsite by none other than Pai Pongsupaht, proprietor of the nascent and eponymously-named food truck, Pai’s. That means the food is going to be HELLA good. And you get to eat it. 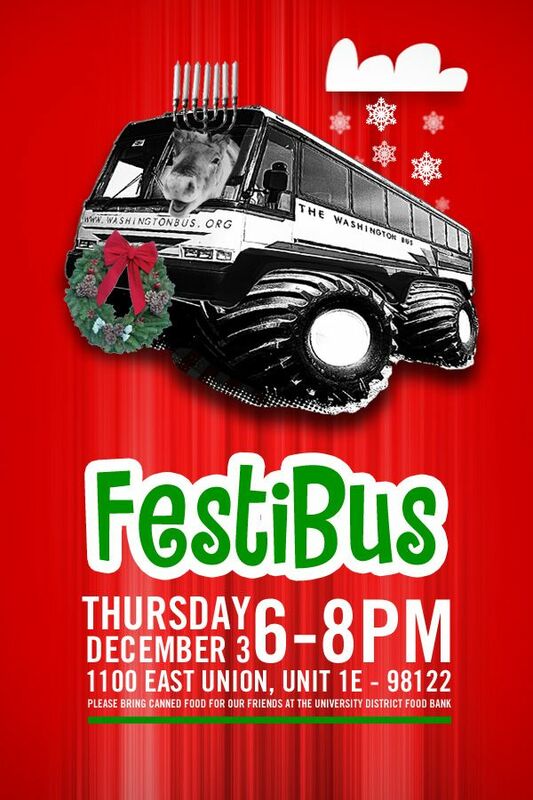 When you come to FestiBus, this Thursday, from 6-8 pm at Bus HQ (1100 E Union St, Suite 1E). 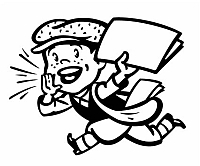 This newsboy is now on Twitter. The crucible in which news is separated from olds. Yes, we said it. My precious: You know why we like local politics? Trick question! All politics is local! And it’s becoming increasingly clear, especially as budget cuts move from the big things (education) to the small things (Washington State Cranberry Commission). Now, obviously the Cranberry Commission is a big deal to, say, cranberry farmers, but it’s interesting that as issues get more specific, and affects a simililarly specific constituency, resistance to cuts goes up. 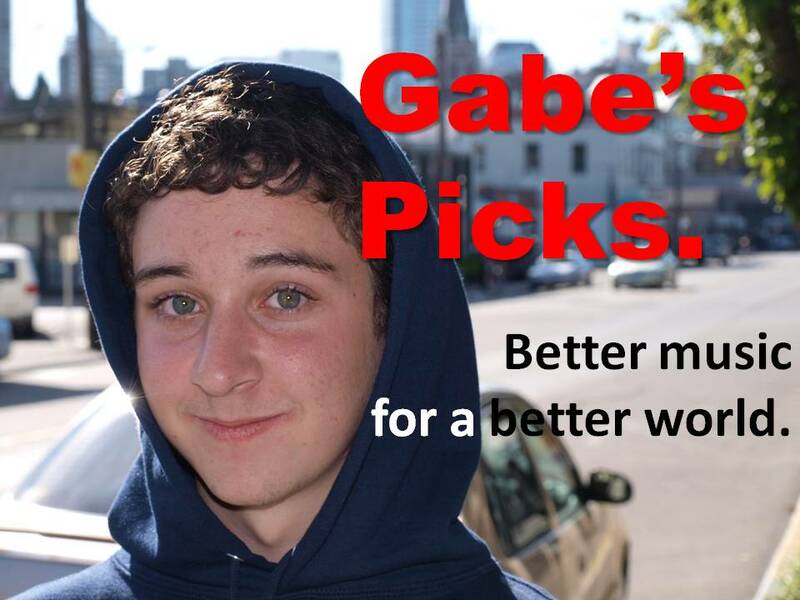 Chris Grygiel over at the Seattle PI ruminates on why it’s easier to see major cuts to education funding than relatively minor eliminations. Worth thinking about as we move toward the wild ride that is Oly Oly Oly. My prerogative: Who wants to rewrite the tax code this legislative session? A bunch of folks, including much of the majority-party leadership in the State House and Senate. One person that doesn’t? State Rep Ross Hunter, the former Microsofter, Kirkland-repper, numbers-cruncher, and candidate for County Executive. Ross’s take: it would be very easy to make mistakes given how short this year’s legislative session will be. At it’s core, the point is reasonable: this is a big task, don’t eff it up. But in a year of cuts across the board, thoughts on how revenue is structured will very likely remain on the table. My pride: Sometimes Pioneer Square gets a bad rap. Wait. Oftentimes, Pioneer Square gets a bad rap. As the oldest chunk of Seattle, the neighborhood oozes personality. And as a hotspot for both sports bars and shelters, it can be a confusing and seemingly-unrooted community. One constant has been the Elliott Bay Book Store, that warm, clanky literary nook. Now the bookstore is moving out, heading up to Capitol Hill and new bigger digs. It’s a huge transition for Pioneer Square, and its earned an endearing and realistic look by the newspaper of record down Southern California Way, the Los Angeles Times. Read it, and then go buy a book from your local purveyour. It’s hard times out there for the small guys. Since Run DMC and Aerosmith united in 1986 for “Walk This Way,” rap-rock collaborations have been common place in popular music. Some turn out brilliantly like the Rick Rubin produced Jay-z song “99 Problems,” but others are forgotten over time. Blackroc, the collaboration between Dame Dash and blues rock experts The Black Keys is one of those collaborations that will be remembered over time. The album will feature the RZA, Mos Def, Q-TIp and a host of hip hops most talented MC’s. Ginger Rogers and Fred Astaire made a film in Olympia?! We DID not know that! What could possibly be sexier than redistricting legislative districts? Exactly: not a damn thing. With the 2010 census rearing its head, the prospect of a significantly re-drawn legislative landscape is looming large. Your local political world will definitely be shifting… and remember: all politics is, in the end, local. Want to get a jump on the good times? Check out the Secretary of State’s Redistricting board game. We kid you not. Something to do with health care passed through the Senate in Washingon DC. What was it? Oh yeah, it’s the next step on what is potentially the largest move towoards inclusiveness in health care and public responsibility in a generation. Coo. But not all health care is moving in the right direction – check Governor Christine Gregoire’s statements on the future of the Basic Health Plan here in Washington. Okay, so you know how FestiBus is going down in two weeks? Yeah, that’s the one. We do a canned food drive at FestiBus, and this year we’re splitting it between our planned recipient, the University District Food Bank, and the recently-burglarized Rainier Valley Food Bank. Robbers: you’re wack. FestiBus attendees: you’re good people for supporting a good cause. Yet another good reason for you to come to FestiBus – as if you needed one! If you enjoy mid to late 90’s hip hop, free music, or local music venues, then you should check out Chali 2na (Jurassic 5) and Gift of Gab (Blackalicious) in one of their two shows tonight. The first show is a free show at Easy Street Records in Lower Queen Anne. The Easy Street show starts at 6 and although it will be shorter than the Neumos show, Easy Street is one of the coolest free venues in the city. The Neumos show starts at 8, costs 18 dollars and also features Mr. Lif and Lyrics Born. Chali 2na joined Jurassic 5 in 1993 and is a giant on the mic both literally and figuratively. Standing well over 6 feet tall with one of the deepest voices in the game, Chali 2na brings his dominating, thoughtful bars to any track he’s on. Blackalicious is traditionally one of the most underrated groups in all of hip hop. Gift of Gab and DJ Xcel started Blackalicious in 1992 and have released 3 classic full length albums. Gift of Gab spits impressive multi-syllabic raps and is a constant on “Best West Coast Rappers” list.